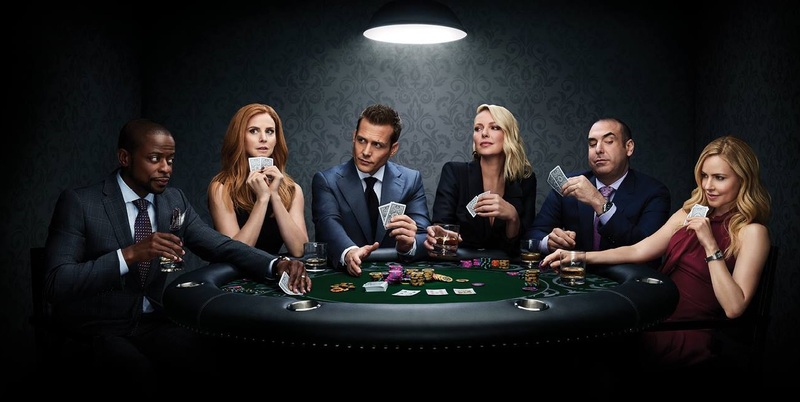 Suits season 8 episode 13 is airing on USA next month and on the surface, one thing feels very clear: Trouble that feels very familiar for this show. How often do we get to see blackmail, intrigue, duplicity, and turmoil within the world of this show? It’s basically a common occurrence! Luckily, it’s also a big part of the reason why we like it so much. Related Suits video – Be sure to check out some more thoughts when it comes to all things Suits at the bottom of this article! Meanwhile, remember to subscribe to CarterMatt on YouTube for more information and check out our official playlist. Harvey and Donna are caught in the crosshairs when Stu is blackmailed. Samantha revisits her past. Harvey and Donna are probably going to spend a lot of time within this episode putting out a number of fires, which hopefully will allow them to spend some time together, as well. We are still rooting for Donna and Harvey getting together, even though we know along the way that there are no real guarantees of anything. The reality we are facing here is mostly one where there are only a handful of episodes left on this season and next in order for these characters to really deal with some of the feelings that they have. We’ll cross our fingers and hope for the best there. As for what we’re going to be seeing when it comes to Samantha Wheeler, we should make it 100% clear that we’re crossing our fingers and wanting to see something fascinating and new for the character — namely, something that we haven’t had a chance to see before. She is still fairly new and for the better part of this series, much of her past has been a mystery. She’s been very much cagey on her background, and for good reason since she clearly doesn’t want anything to collide with what some of her career. She doesn’t want anything to be used against her — but with her being a name partner, there will be more of a spotlight on her. That’s something that she will have to prepare herself for but in this episode and down the line.